Local, Family Owned with over 20 years of experience helping local businesses grow and succeed. Web design is our specialty! We take pride in our work, so our developers build your site as if it was their own personal site. We want to not only meet your needs, but to exceed your expectations. We design many types of websites and can put together a custom package to meet your businesses immediate and future needs. Each customer and business is unique so no one solution is right for everyone. If you're looking to simply establish an online presence, we can build you a professional, yet simple and informative site. However, if you're looking to grow your business, we will build you a complete website and add our marketing touch to help you bring in customers and convert them to sales. Does all of that sound expensive? Don't worry; we have been one of the lowest priced companies around since the early 1990's. Most of our clients come through word-of-mouth and others come based on our own Internet marketing campaigns. Each member of our team holds a full time position with a large New York based company where they work in the same capacity as they do here at Guildernet. As a result, we are able to provide our clients with executive quality services for a fraction of the price. Want to see us in person? No problem! We would be happy to arrange an in person meeting to that we can better understand your business and needs. A website is only effective when visitors can find it easily in the search engines. Let our SEO team customize your website with the specific keywords and phrases that you want your business to be found by when potential clients search on the Internet. Today users are viewing your website on a host of platforms ranging from phones, tablets, desktop computers, laptops, televisions etc. As a result, today's sites need to be carefully designed so that they work and display correctly on each of these platforms in order to ensure your customers have the best experience possible. Today your visitors are using so many different types of devices to browse the web. How do you ensure that your site will display correctly for all of them? Responsive design is the answer. The developers at Guildernet build all of our web projects to adhere to responsive design standards. As a result, your site will not only look it's best for your users today, but will adapt and change as technology evolves. Did you know? Responsive Sites also help improve your SEO rankings? 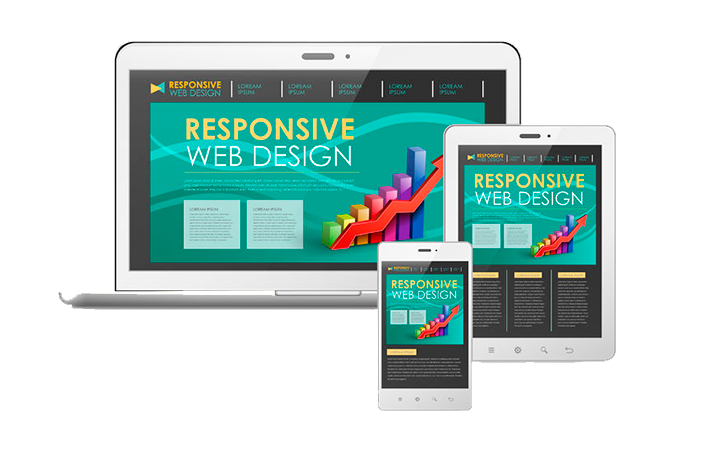 Responsive development is Google's recommended approach for mobile web design. In Google's search engine, responsive websites will perform better in search rankings because they provide a better user experience than sites that are not mobile friendly.